It Has Never Been More EZ to Enjoy a Healthy, Energetic, Sit-Stand Work Style! 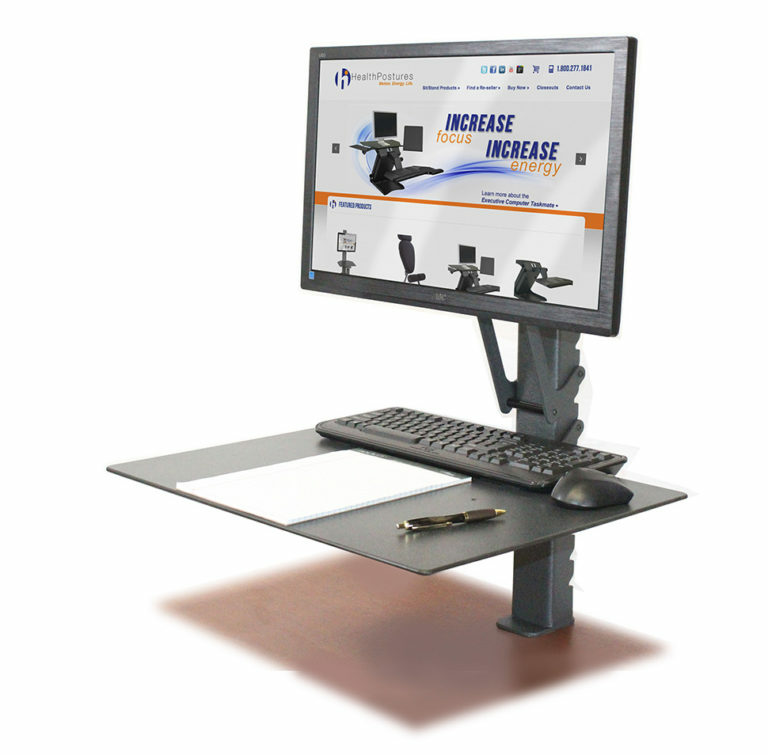 The new TaskMate EZ from HealthPostures is one of the simplest and most cost effective ways to turn your ordinary desk into a standing workstation. The TaskMate EZ will attach to any desk and will adjust from a sitting to a standing position while allowing for plenty of workspace. Many employees and employers have since learned that switching from sitting to standing though-out the day has many benefits including physical alertness, increase productivity and staying fit while on the job. HealthPostures has been encouraging a healthy workplace with their line of products for over ten years. HealthPostures’ sit-to-stand ergonomic products encourage an energetic work environment and will provide a sit to stand ergonomic solution that will help prevent and alleviate pain associated with sitting at work. By using HealthPostures sit-to-stand ergonomic products, you will feel energized and productive throughout your work day. HealthPostures sit to stand ergonomic products are Proudly manufactured in the USA. 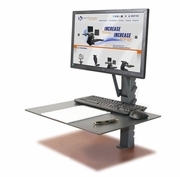 The most cost-effective sit-stand workstation on the market, saving money is EZ!